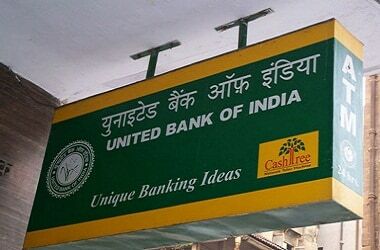 Kolkata-based United Bank of India (UBI) posted a net profit of Rs 73.6 crore for the quarter ended March 31, the final one of 2016-17, against a loss of Rs 413 crore in the same quarter of 2015-16. Total income in the quarter for the government-owned entity dipped 2.9 per cent to Rs 2,673 crore from a year before. Net non-performing assets increased by 7.9 per cent to Rs 6,592 crore, from Rs 6,111 crore in the same quarter of 2015-16. Its Casa (current and savings account) share increased to 47.3 per cent, against 41.9 per cent earlier. Provision coverage ratio stood at 56.45 per cent, from 53.36 per cent a year before. The return on average assets remained flat at 0.21 per cent. In a filing with the BSE exchange, the bank said its board of directors has approved the raising of equity capital not exceeding Rs 1,000 crore, in one or more tranches, during any financial year by a qualified institutional placement (QIP), a public issue, rights issue or any other. The bank has already received Rs 418 crore from the central government and is maintaining this as share application money, pending allotment. It also raised equity capital of Rs 127.5 crore in March through a QIP, by issuance of 54,906,211 equity shares.